Why is protein so important in bodybuilding? Well, protein is important for any type of diet. Even for those who don’t eat meat and those who don’t eat animal by-products: protein is still an essential part of nutrition. Of course, the most plentiful sources of protein come from meat, with 1 ounce of chicken containing approximately 5.3g of protein and 1 ounce of steak containing approximately 7g of protein. If we multiply 1oz of chicken by 4 to calculate the average serving size of chicken, we end up with 21.2g of protein in just one serving of poultry. But what if you don’t eat meat? Protein comes in many forms: eggs, cottage cheese, tofu, beans, and nuts are appropriate sources of protein, most of which are not animal by-products. The only difference is ingesting one of these sources over poultry is the amount of protein per serving. While an ounce of cashews contains about the same amount of protein as an ounce of chicken (~5g), the serving size of cashews is just that…1oz, while the serving size of poultry is 4oz, respectively. So, in a single serving of nuts you’re only getting 5g of protein while in a single serving of chicken, you’re getting 21g. While there are other ways to get your daily protein requirements (other than poultry), meat is certainly the most plentiful avenue, especially for a bodybuilder, and more specifically, an in-season bodybuilder. When a bodybuilder is in season (cutting phase), they have to take a few things into consideration: increases in cardio, decreases in kilocalories, decreases in testosterone, and increases in energy utilization. All of these things matter in considering a bodybuilder’s diet because they all lead to one central problem…protein degradation. Protein generation and resynthesis are important to people of all walks of life because protein is what ultimately allows us to function. Without muscle, we would not be able to achieve the simplest of tasks, like walking and even breathing. For a bodybuilder, avoiding protein degradation is crucial to achieving the greatest possible physique. Protein requirements increase with low energy intake as a result of amino acid oxidation for energy. As caloric consumption decreases, so too will carbohydrate and fat ingestion, leaving metabolic energy expenditure solely dependent upon amino acid utilization for energy. As energy decreases, so does testosterone and as metabolic energy expenditure increases with increasing amounts of work (i.e. cardio), the potential for protein degradation greatly increases. While protein metabolism is unavoidable in implementing an in-season diet plan, increasing protein uptake is essential to account for the portions lost. Protein ingestion should be implemented into an in-season diet plan throughout the duration of the day, and protein supplementation becomes increasingly more important throughout the in-season training period. 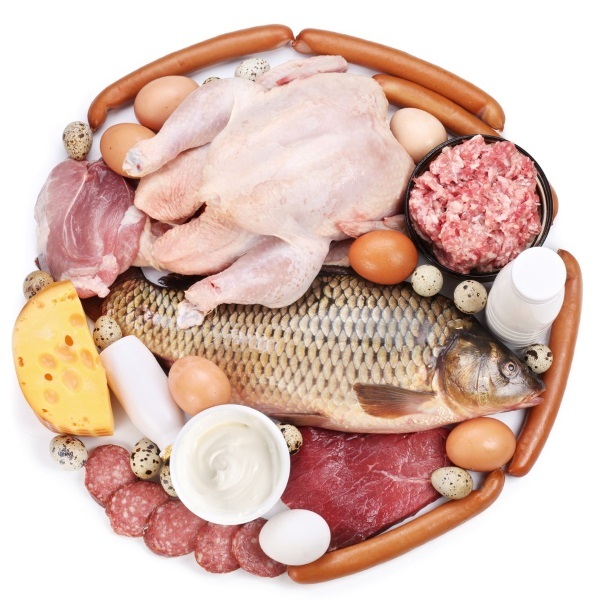 While, as stated earlier, protein can come from various sources, and in most cases is better utilized in its absolute pure form, supplementation is important as it allows athletes to drink 25-30g of protein in seconds without the risk of feeling “full” all the while, increasing performance, reducing protein degradation, and increasing protein synthesis and resynthesis. Protein supplementation is necessary prior to every resistance-training bout as it has been shown to present increases in protein synthesis more so than that of protein supplementation only after resistance exercise. However, protein supplementation coupled with carbohydrate ingestion post-workout have been shown to be more effective as they greatly increase protein synthesis and maximize muscle glycogen resynthesis. With all of that being said, how much protein is too much protein? Some would say “there’s no such thing as too much protein” but that assumption is wrong. All diets should be manufactured based upon an individual’s personal demographics (age, weight, height, and amount of exercise performed on a weekly basis). With these measurements, one can determine a person’s BMR (basaltoo much protein metabolic rate) and kilocalorie requirements. Likewise, protein requirements are determined based upon an individual’s weight as well. On average, 0.8g of protein per kilogram of bodyweight or 0.36g of protein per pound of body weight is enough protein for the day to avoid protein degradation. Again, taking into account the amount of work performed throughout the day and the values of the other macronutrients being ingested does skew this paradigm quite a bit, especially when considering that studies have found the protein amounts discussed above are not sufficient to ensure optimal health, which means that it is definitely not enough for a bodybuilder’s diet, especially an in-season diet. So, while it is important to determine how much protein is optimal for your body’s function, it is also important to note that too much protein can be detrimental to your body’s overall health. Like both fats and carbohydrates, too much protein can lead to extra fat storage. If you are ingesting so much protein that your body cannot sufficiently digest its contents in a timely manner, guess what…that protein turns to fat. But if you’re a bodybuilder and you’re working out 2-3 hours per day, 5-6 days per week, and on a restricted diet then you probably don’t have to worry about that. On the other hand, you may have to worry about increasing levels of LDL (low-density lipoprotein aka bad cholesterol) and decreased brain and liver function. In general, 10-35% of calories consumed per day is enough protein to avoid protein degradation and to optimize muscular resynthesis. If you’re a bodybuilder, particularly one who is in prep and stressing their body out with a lot of work, staying on the higher end of that spectrum (35-40%) is a good value to ensure protein synthesis and resynthesis. Do you think you’re getting enough protein? Are your protein sources coming from the right place? Could you be hurting yourself with too much protein? These are all good questions to ask yourself and your coach.